Hi everyone, Today I made these Free Printable Kitchen Bridal Shower Invitations that can also be used to invite your guests on a recipe themed bridal shower party. 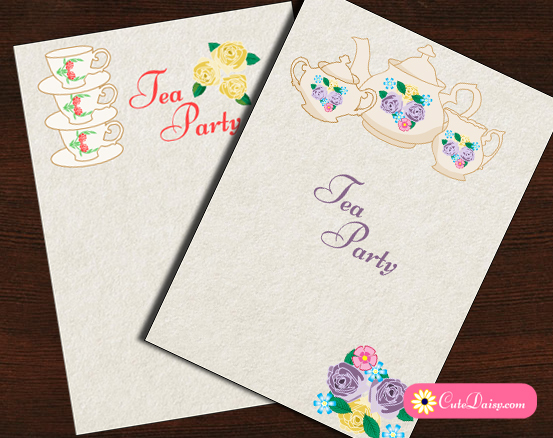 I have made these beautiful Kitchen Bridal Shower Invitations in 3 different colors so you can fill in the text fields according to the requirements of your bridal shower party using invitation in any color of your choice. These are very easy to edit PDF files and these are absolutely free for personal use. I have also made a matching address label with each of these invitations. On each invitation there is a silhouette of a bride that is wearing an apron and holding kitchen utensils along with flowers. 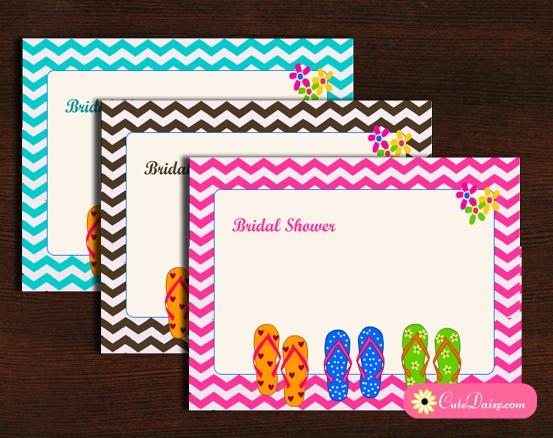 It is a cute and fun invitation and I am sure your bridal shower party guests will love it. You’ll make your guests happy while keeping your bridal shower party economical and cost effective as all these invitations are free. 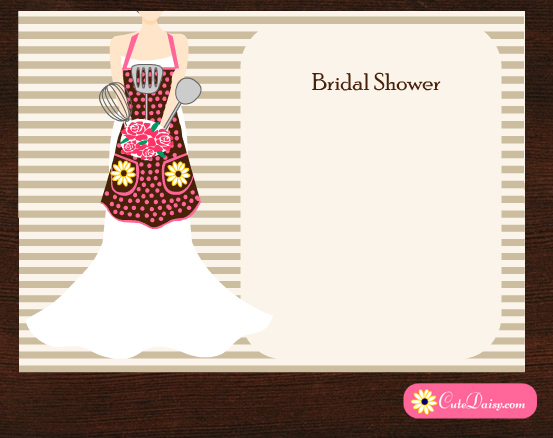 Click here to download this adorable Kitchen themed bridal shower party invitation in pink color. It has a beige striped background and the bride is wearing an apron with pink polka dots and holding pink flowers in her hands. The PDF files has easy to fill in text fields. This is the same invitation but in a different color combination. 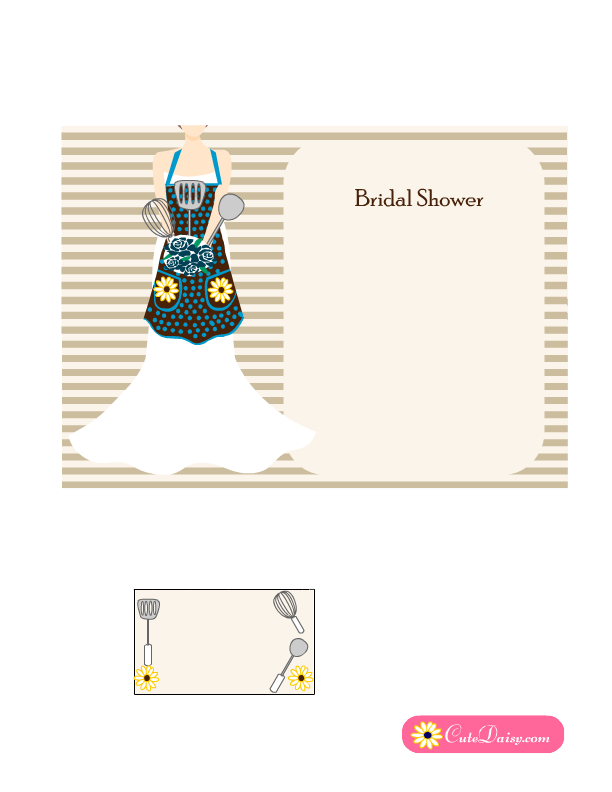 The apron of the bride is in brown and blue colors and she is also holding blue flowers. Click here to download the editable PDF file. 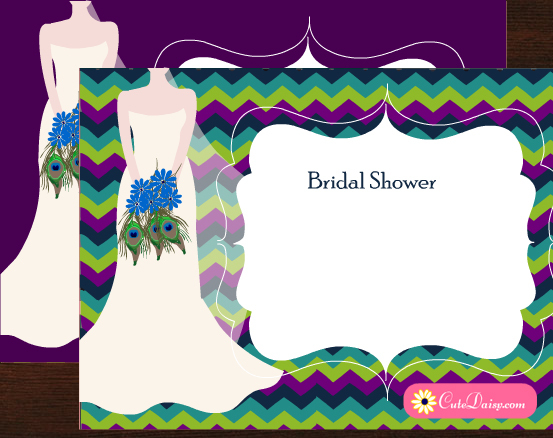 This is another adorable color combination for this free printable kitchen bridal shower invitation. The bride is wearing a red and brown apron and holding red flowers. The matching address label also has image s of daisies and kitchen utensils. Click here to download the PDF for this invitation. Please do not forget to like and share this post on Facebook, Pinterest and other social media.